That is the quantity of rain which fell on Lamer Park today up to when I started writing this posting. It is now at 10.3mm! No wonder we gave-up at lunch time all feeling a bit cold and damp. The mag team did manage three grid squares before lunch (Fig. 1). Figure 1: mag survey after day 7. There is a interesting possibility that we have detected a break in the Fosse, maybe some form of entrance. I have noticed that some of the maps of the Fosse show a break, and some do not. Perhaps we may be able to resolve this. The GPR crew managed their usual 40x40m block before the rain drove us away at lunch time. Figure 2 shows four time slices. 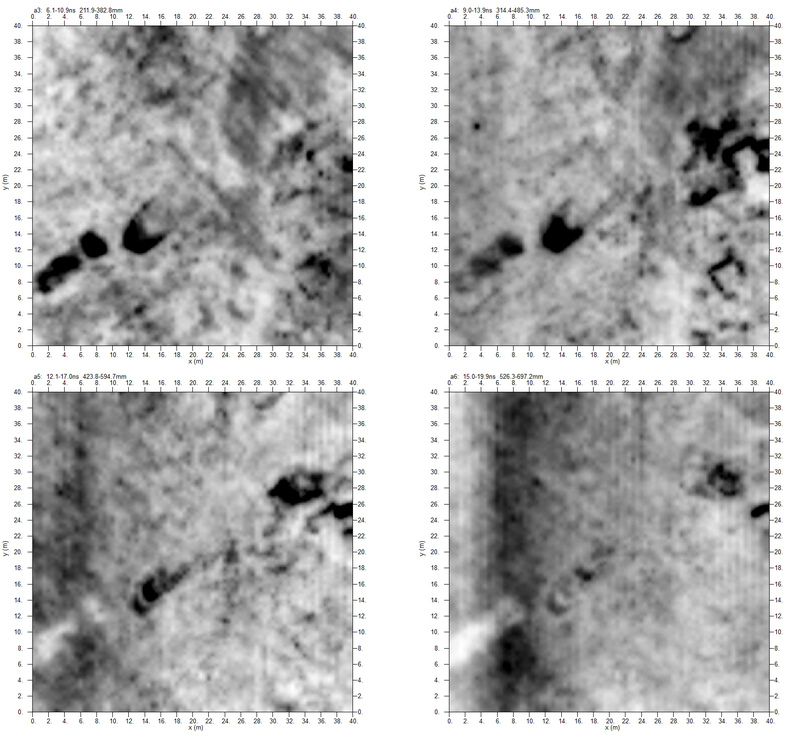 Figure 2: GPR data from day 7. There is a quite substantial feature showing in slices 3 and 4 (top row) to the west. This “big blob” is on the edge of the aqueduct, but I am not sure what it is. 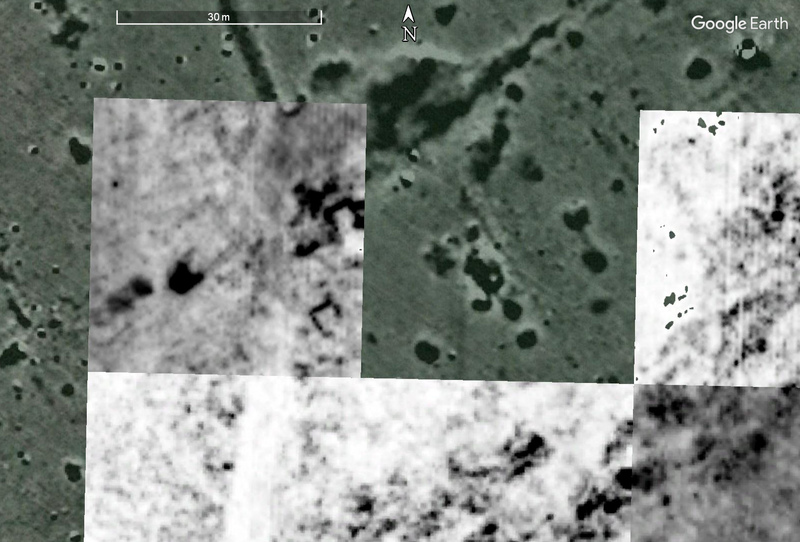 Finally, however, we have some clearer looking buildings, best seen on the east side of slice 4 (top-right of Figure 2). Figures 3 and 4 show this slice in context. 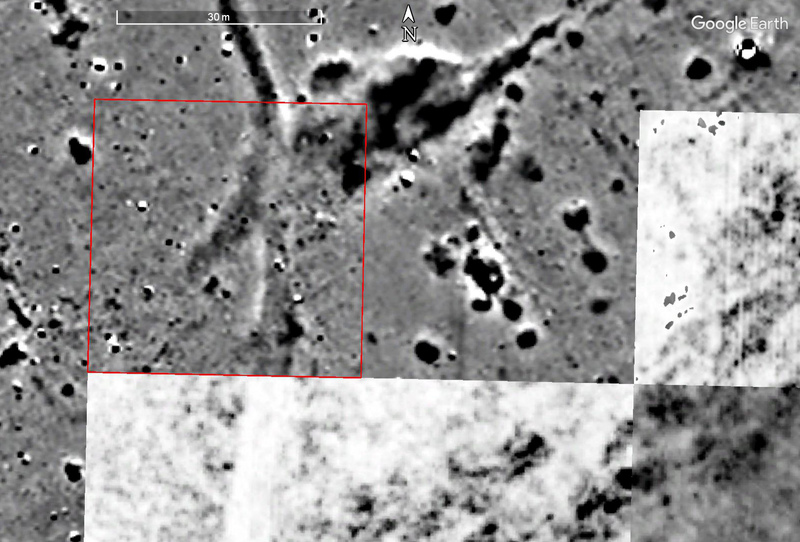 Figure 3: GPR from day 7 in context, slice 4. Figure 4: the mag data for the same area as Figure 3. 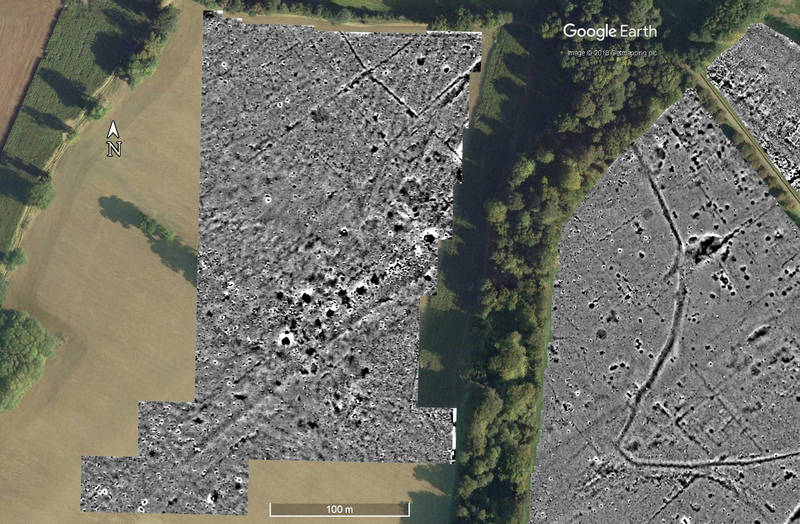 As we have seen before, the buildings in this part of town show in the GPR data but not in the mag data. On an unrelated note, this week’s Herts Advertiser (dated August 9th) carries a short letter from me about the project. It also carries the news that the school at Batford has been given the go-ahead (see https://wp.me/p3AAk9-gy for our survey there). Getting from the Theatre Field to Mobbs Hole is a bit of a problem because some pesky Romans built a wall between them. There is, however, a gate we can use which is moderately convenient, which we have dubbed “The Manikin Gate”. Figure 5: the Manikin Gate. The weather tomorrow morning looks OK according to the Met Office, but we may be rained off again in the afternoon. On the bright side, it might be possible to break out the earth resistance meter soon! This entry was posted in Verulamium and tagged ahrc, CAGG, community archaeology, Foerster, GPR survey, Ground Penetrating Radar, Hertfordshire, magnetometry, magnetometry survey, Mala, Roman, Roman town, Roman urbanism, urbanism, Verulamium, WAS on August 9, 2018 by hertsgeosurvey. Gorhambury Lane comes off here somewhere that led to the Villa on Gorhambury House Estate. I like the gate with the mannequin – dare I say it? She looks totally ‘armless!